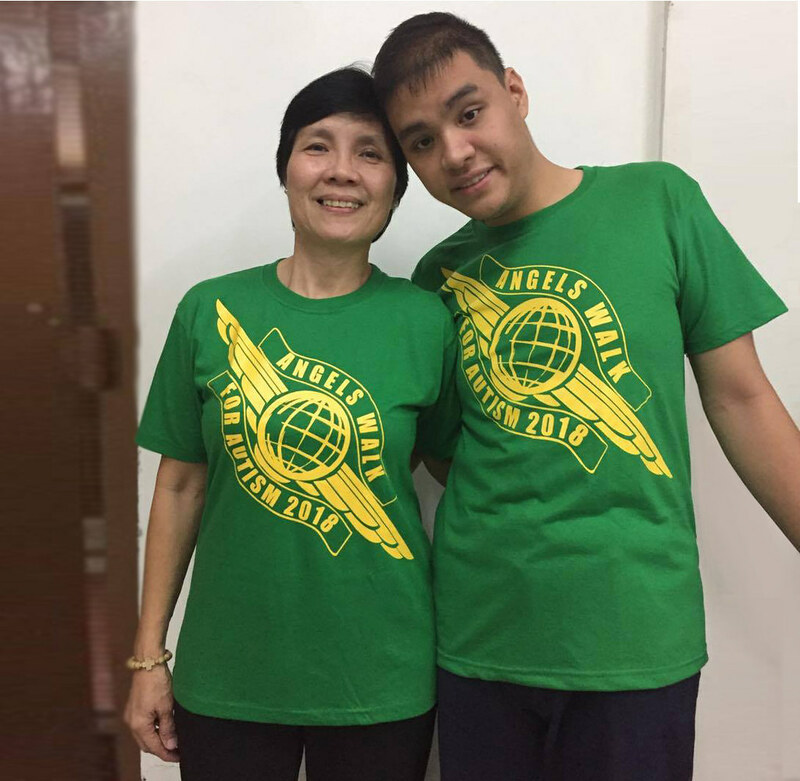 The Autism Society Philippines has released the new Angels Walk for Autism Shirt design, in preparation for the Angels Walk for Autism 2018 on 14 January 2018 at the MOA Arena. Since 2007, the shirt design has evolved from being a promotional shirt to being a valued collector's item. Individuals with autism and their families wear the Angels Walk shirts all year round, inspiring inclusion without need for words. The 2018 Angels Walk icon shirt was inspired by the popular basketball fan wingspan shirt. The shirts come in fern green and has one price, regardless of size. You can avail of the limited edition 2018 Angels Walk Shirt in three ways. 1. Buy for cash. P170 for ASP Member and P220 for Non Member at the ASP National Headquarters in 11th Jamboree, Quezon City (http://bit.ly/1LwgklB). 2. Order on-line. http://bit.ly/2h4qSSe. This can be pick-up at the ASP National Headquarters or have shipped to your home. 3. Buy for cash at the SM MOA Arena at the day itself of the Angels Walk for Autism for P250. We will not accept RESERVATIONS. XL12 - 31" - 20.5"
T - 33" - 23"
XS - 35" - 24"
S - 37" - 25.5"
M - 39" - 27"
L - 41" - 27.5"
XL - 43" - 28"
XXL - 45" - 28.5"
---Cut-off of shipping is every Wednesday, 11am. After cut-off your orders will be shipped on the following week. Last day of shipping request will be on 03 January 2018, Wednesday, 11am. --- Please pay in exact amount to avoid delay in your order. --- Tshirts purchased online can only be picked up at the ASP National Headquarters in 11th Jamboree, Quezon City (http://bit.ly/1LwgklB) upon FULL PAYMENT. THESE CANNOT BE PICKED UP AT THE SM MOA ARENA. --- Last day of selling the tshirts at ASP National Headquarters will be on 10 January 2018 for pick up only. For questions and inquiries, please call us at +632 903-5496.